It's been forever since I last made jewelry and I'm really trying to get back on track and make pretty things while ruining my nails xD So I was going around some online stores to stare at pretty pretty beads and daydream about them. Beads are one of my guilty pleasures, along with yarn and books and netbooks... and ebook readers and Robbie Williams... Ok! I have many guilty pleasures! But only the bead related one actully pays off :-p Though George wasn't doing so bad last time I checked. I got sent here from a Social Spark opp (How's this for full disclosure? xD) but I got caught up by it! So this review is completely honest... I did spent hours staring, wanting... No wait... Needing new beads! The so-called student fronts decided to make a protest supporting Manuel Zelaya, in front of the main entrance, closing the boulevard, while burning tires. Soon after the police arrived and at some point they started attacking each other. Rocks were flying by from the protesters side and tear gas bombs were thrown by the police... It was chaos. Somehow the police managed to cornered them inside the pedestrian entrance of the university and forming a barricade they walked, forcing the students to back up... Meanwhile, rocks and bombs kept flying by... The students finally retreated to the parking lot near the entrance, still attacking the police. And a few minutes later, one of the protesters threw a Molotov bomb to a car that was parked there. When I got there today, I felt terrified of the hatred with which they destroyed those places... Nothing was left standing, nothing was left unbroken... What drives people to act like animals? A leader that is happily traveling while they risk their lives and the lives of others to defend him? An ideology that they don´t really know, but that leads them to believe that wearing a tshirt with the Che Guevara´s face makes them revolutionaries? After months of terrible anticipation Hayden Black has finally unveiled the trailer for his new series!!! I talked about another of Hayden's series ages ago, Abigail's x-rated Teen Diary... He's super talented and is getting a big break with this new show that was presented last night at the Comic-Con... Co-starring with Nichelle Nichols, Uhura from Star Trek (not that I knew that... but many ppl actually knows who she is...), and great guest appearances like Miracle Laurie and James Leary for the first episode! It will be a hit! "The first trailer for our upcoming webseries The Cabonauts! It's a sci-fi musical comedy starring Star Trek's original Uhura, Nichelle Nichols and the creator or Goodnight Burbank and Abigail's Teen Diary, Hayden Black". 3 weeks later... Is it ever gonna end? I have to say that after a few days I was tired of everything... The horrible coverage by the worldwide media, the lies told by Mel and the, even worse, lies told by Chavez! The world is slowly seeing the truth, but it´s not doing any good... What good are the Costa Rica conversations doing? Or the American Congressmen´s support? I'm guessing that, by now, many of you have heard/read about the situation in Honduras, not the best way to be known but I guess the only one to be finally under the radar. Whenever I mention, online, where I come from, people asks where Honduras is located, and they get even more confused when I mention Central America. My country is tiny, poor and has been battling against a leader that wanted to remain in the power by all means. I could attemp to list all that has happened in the last week but I don't think I could be as accurate and clear as Mary Anastacia O'Grady from the Wall Street Journal. Her article, Honduras defends its democracy, is by far the best and more honest recolection of the events that have been going on here. Before clicking on the link just let me tell you that it wasn't a coup d'etat. It was the people defending the democracy and fighting against a man that had systematically destroyed our country. And just to make things clear, I voted for him. I'm one of the many he fooled and I'm actually heartbroken at the way this ended. When he was elected I had great hopes for my country, I figured it would be a fresh start, but I was so wrong. Little by little he started to show his true intentions and I was left feeling guilty by having supported him in the first place. What concerns me the most is that the international community seems blinded by Zelaya's declarations and the voices of the people seem muffled under the great load of articles supporting him. I find hard to believe that the world can't see the obvious support of Chavez to our, now former president. The threats that Chavez has issued should be enough proof of the ilegality of Zelaya's intentions. My only hope is that the international community will finally see the truth behind the lies they are being told, and that they will begin to listen the screams of a country that wants to be free and democratic and not fall in the hands of tyrans. 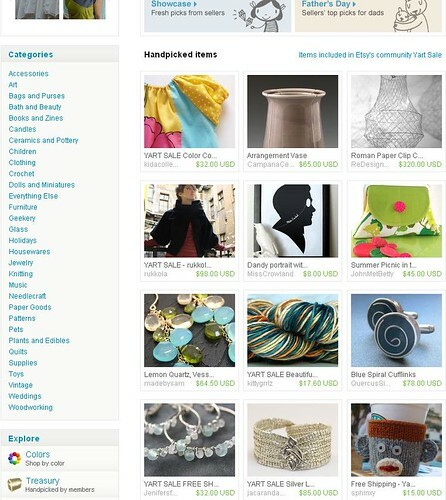 I was on Etsy´s Front Page!!!!!!!!! I never ever check the Featured tab from CraftCult because I´m never there :-p and I don´t mind, but I did today, because I was bored... and OMG!!! I was on Etsy´s Front Page last night! I can´t believe it! The Purple Blug. Powered by Blogger - BlackSplat design by SamK.